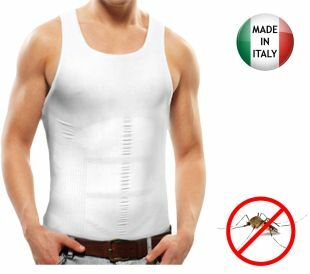 Men's sleeveless tank top containment MOSQUITO STOP, it is treated with microcapsules of DEET to keep far the mosquitoes. 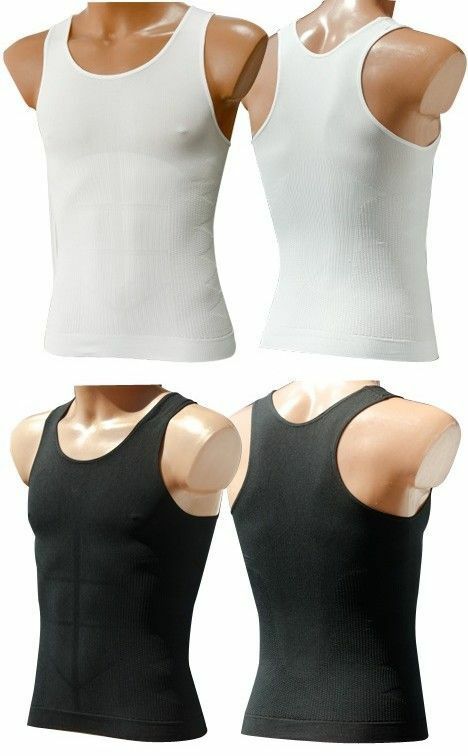 Men's sleeveless tank top containment MOSQUITO STOP, is treated with microcapsules of DEET anti-mosquito to give you a summer free from this annoying bug. The treatment resists from 15 to 20 washes at 40 ° C. Your body is moving with automassage and brokes some microcaplsules that realease the DEET! Made from hypoallergenic, breathable, soft and elastic fibre, gives you immediately a better silhouette, -1, -2 sizes! Thanks to lumbar compression fights back pain.Very beautiful design as well as both front and back, see pictures. We feel that the first few times, while the mesh is loosened a little, will not be very easy to wear and remove it without a little help. We recommend not to hold it at night although there is no indication against it! 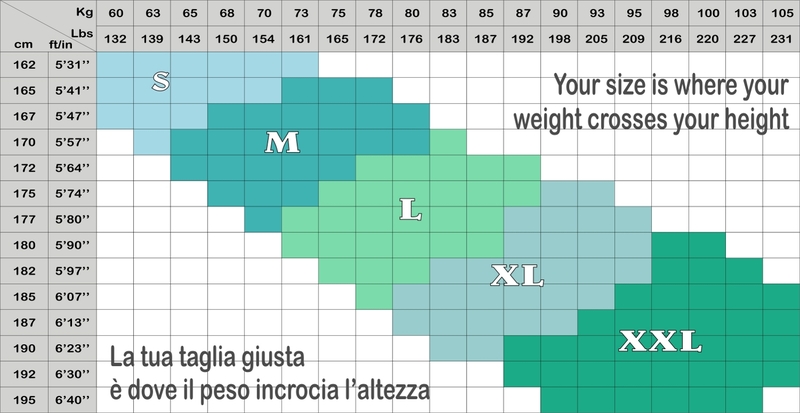 Immediately restores a silhouette one, two sizes smaller! It is specially designed to contain the critical points, hips and tummy.. MUST TRY IT! Come points more often by mosquitoes than the others? The reason is the smell you emit. Mosquitoes have in fact a very strong sense of smell, which is used to identify targets to be pricked, and some individuals have a body odor more '"palatable" than the others. "Mosquitoes are attracted by Nonanal, a substance emitted by humans, but also by birds, other typical prey of the common mosquitoes," said Syed Zainulabeuddin, a biologist at the University of Notre Damea s Eck Institute for Global Health in the United States that studies the olfactory receptors of these annoying insects. "A good part of the brain and the mosquitoes' olfactory centers dedicated to. Females have a recognition system developed very Nonanal located on their antennae," said Syed scienceblog to the site. "We also found that some substances derived from plants, such as DEET, commonly used in creams repellents are very effective to drive away mosquitoes. However - he continued - first it was believed that DEET was acting only masking the odor of the human body to mosquitoes: Our laboratory has discovered that mosquitoes instead recognize the smell of DEET as such and actively shun. This discovery there can 'help in developing strategies more' effective to ward off mosquitoes, particularly in areas where there are widespread virus transmitted by the bite, such as West Nile Virus. " DEET was used for the first time in the Pacific War by the Americans to defend the soldiers from attack by swarms of mosquitoes. Nowadays, improved, is0 the most widely used product to guard against the annoying insect. We I will propose a treatment with microcapsules fixed on your garment ensuring their anti-insect activity for at least 15 washes, it means, with two garments, all summer period protected from the insect! Not suitable for children under 12y. TRY IT!